So, after struggling for three months and getting so stressed you thought about quitting, you finally completed the theme music. What was the breakthrough that helped you finish it? Video: Please, have a listen to it. Please, have a listen to it. You can tell just by listening to it, but there are no drums used in this piece at all and the tropical sound that was present in previous Mario games is also gone. This piece was used at last year's E3 as well, wasn’t it? This piece was actually written by Kondo-san. 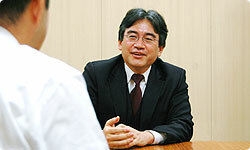 Miyamoto-san had chosen Kondo-san's music without even knowing who had made it. This reaffirmed my thoughts that Kondo-san really knows Mario games. I was so stressed until that point, but at that moment, I managed to break through the stress and choose the direction of Super Mario Galaxy’s soundtrack. So through this piece, you were no longer limited to tropical sounds and Latin music. That's right. Miyamoto-san had told me "This is good! This sounds the most space-like." but he never said "This sounds the most like Mario." There are times that if you think too much about “the sound of Mario”, you’ll get unnatural music that’s even hard to listen to during game play, and it’ll end up not sounding like Mario at all. I think that, ultimately, cool-sounding music that fits the rhythm of the games makes up the sound of Mario. Even though the tropical sounds in Super Mario Bros. did leave a strong impression on the listener, the style of the music changed completely depending on the stage. The sound of the music expressed the atmosphere of the game world. 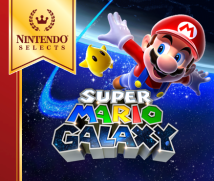 Since Miyamoto-san was looking for a sound to express the world of Super Mario Galaxy, he must have said your work sounded “like space” rather than “like Mario” because he wanted to express the setting of space in music as well. As someone who had studied industrial design, Miyamoto-san approaches things in terms of functionality first, and he must have wanted the music to aid the design to really make the game world come alive. I really think so, too. But because nobody was able to tell you these things in words, you struggled for quite a long time. In retrospect, the time I spent struggling trying to make music that sounded like Mario may have been a waste of time, but by struggling so much, the impact when I realised these things was all the stronger. Kondo-san then came to say the music I made from that point on had “become natural”. The impression that the music was slavishly trying to be like previous Mario music had disappeared. Before that, many of the pieces felt like they secretly wanted to copy the Mario sound, and the presence of elements like that made them sound unnatural. Perhaps the tracks trying to imitate something that they were not was what made it difficult for the listeners to get into the music. 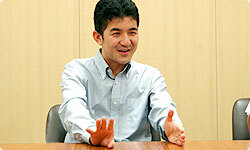 Kondo-san, have you ever struggled in a similar way yourself? You’ve been working on sound with Miyamoto-san for such a long time; surely you must have been through a lot of these struggles? I struggle all the time! (laughs) Even though I was the one that composed the music in the first place, I always struggle with how I should make it different from the previous music and how I should make it sound new. You composed four of the pieces for this game; how did it come to be that Yokota-san ended up being responsible for most of the soundtrack instead of the entire soundtrack? Yokota-san was the sound director, and he asked me to make some music because he needed some tracks by me, too, so I worked on pieces for the scenes they were requested for. When all the music is made by one person, it’ll end up all sounding the same. If a piece that's playing in an important part of the game has the same sound as another piece used in a different scene, it won’t leave an impression on the player. You wanted the music to have variety. That's right. So, I asked Kondo-san to work on some music because I definitely wanted to use pieces with his sound for certain scenes of the game. What?! Why didn't you tell me that while we were still working on the game?! But Yokota-san worked at a very fast pace, creating pieces one after the other. I was impressed by the speed at which you worked. Since I was put in charge of the music for this game, I felt that I didn't want to become a nuisance to Kondo-san. Didn't I promise you that I would work on my own as much as I could, and that I’d only come to you for help when I was really having trouble? Still, being put in charge of sound for the latest Mario game must have put a lot of pressure on you? Oh yeah, so much so that I thought about quitting my job! (laughs) Mario is Nintendo's flagship title, after all. But at the very least, I think I was able to portray the vastness of space in Super Mario Galaxy, which I think was something that could only be expressed by the magnificent scale of an orchestra.